The restaurant has a very unconventional look. 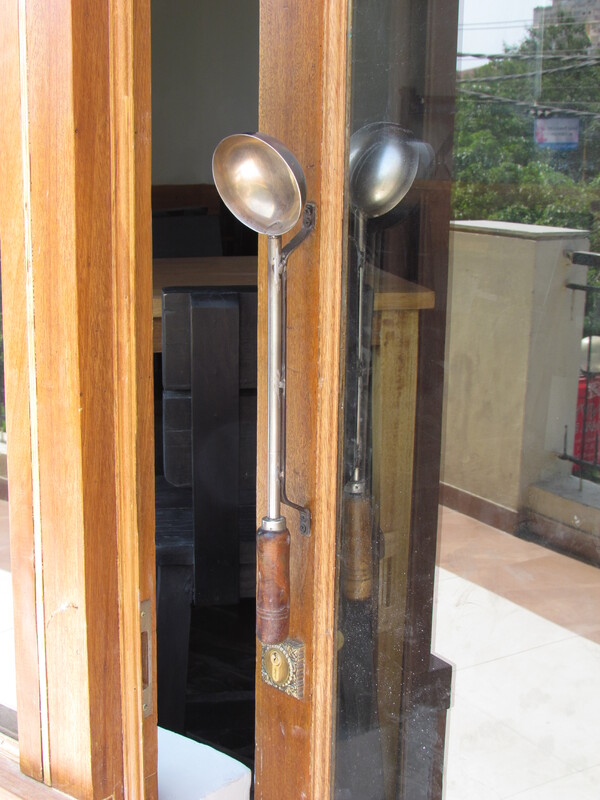 A silheri (ladle) used as a door handle at the entrance was innovative. 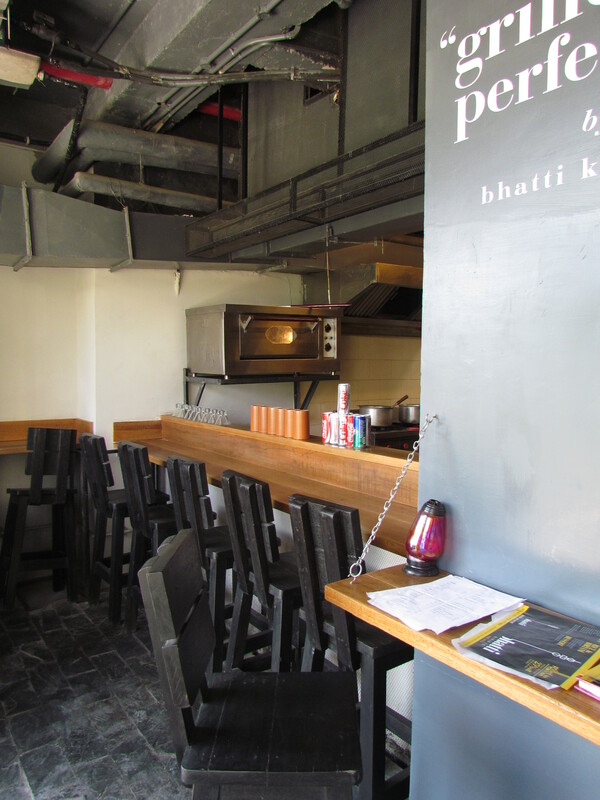 As we walked in, we saw an open kitchen in the front with Japanese teppanyaki style ‘sit around the oven’ concept. On the right there was option to sit on bar stools facing the outside. Then there were normal wooden furniture with a ‘raw wood finish’. Beyond that there was a metal wire mesh & some more seats inside. 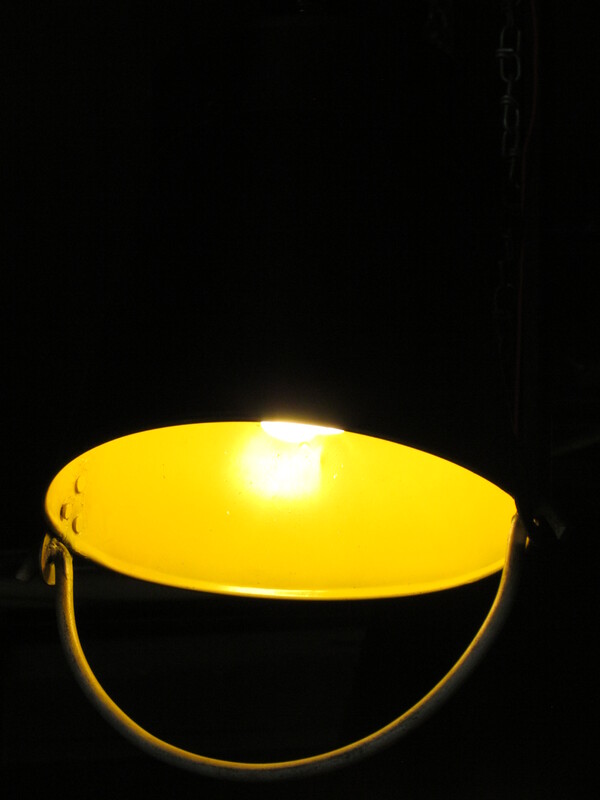 Inverted Buckets (Balti) were used as lamp shade. 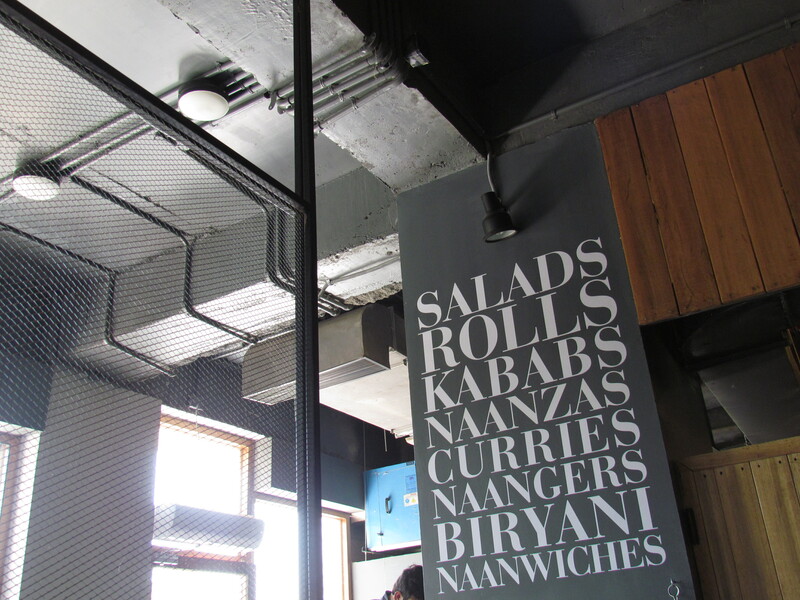 There was no false ceiling & one cud look straight into the A/C ducts in the ceiling. Talking about A/C, it was very hot within & we sweating sitting under A/C vent. In one corner there was a dump of packets & miscellaneous stuff. I was surprised that a new restaurant wud have such a thing on the restaurant floor. The Menu card was just a printout & had many interesting ‘named’ stuff but sadly with no explanation along with the items. Usually in such situations the waiters come handy but here even that was not the case. After 10 minutes of accepting the order of a funny sounding dish that had a goat meat & goat cheese combo, he came back & said, We do not have goat cheese, can I give Parmesan?’. 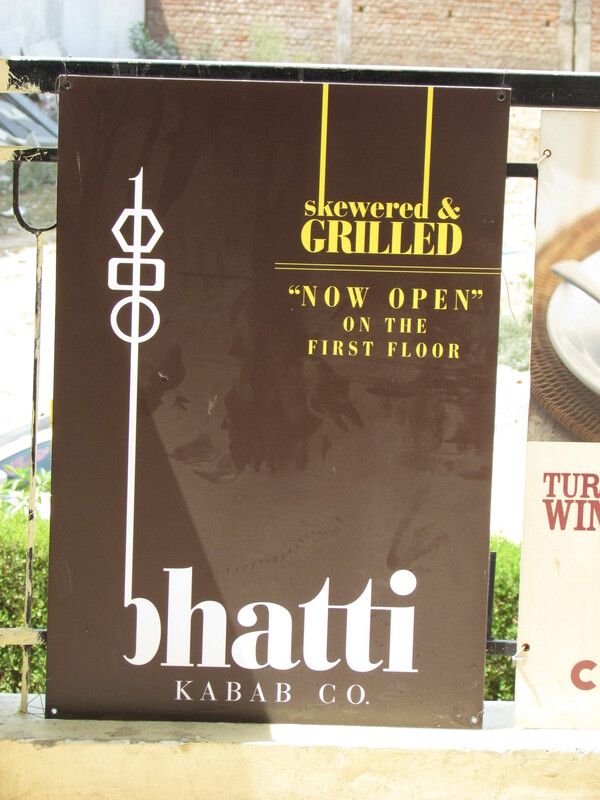 Then he said ‘Bhatti da murg is our specialty’. After 15 minutes he came back & said ‘Sorry sir maal nahi aaya.’!!!!!!!!!!!! Are we kidding here? Even the chhotus at roadside dhabas are better trained & have better knowledge of available dishes. I was told by someone that this restaurant has been opened by a famous Chef. The experience showed sparks of brilliance but was ridden with immense issues. 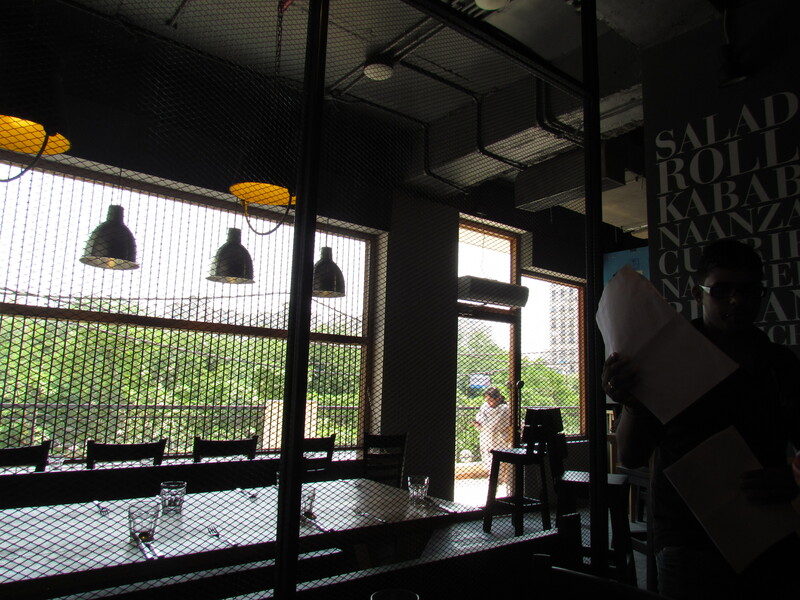 If the owners are reading this, I wud recommend them to pay more detailed attention to people, the way the place is maintained & of course to the consistency of food in terms of execution of Chef’s good recipes by the cooking staff. 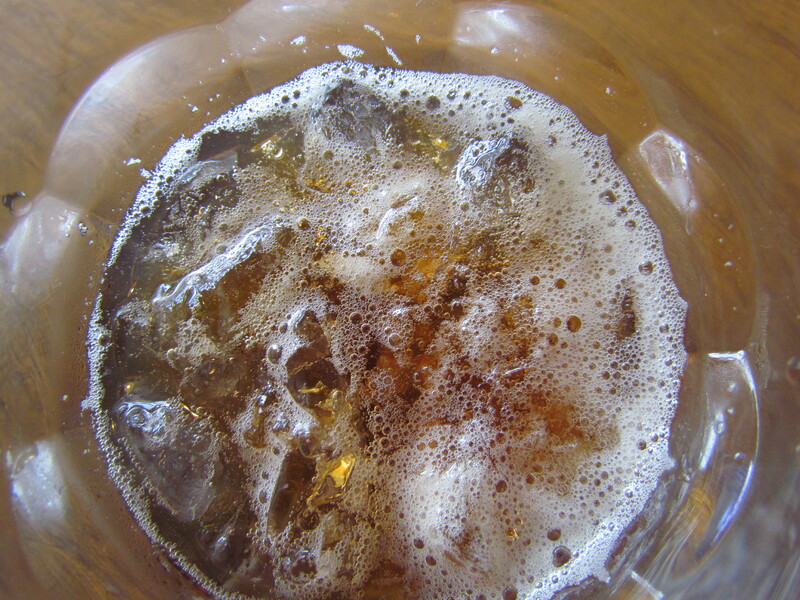 Welcome drink was peach ice tea. It was overtly sweet but good to taste. The complimentary Papad was good but had very strong taste. 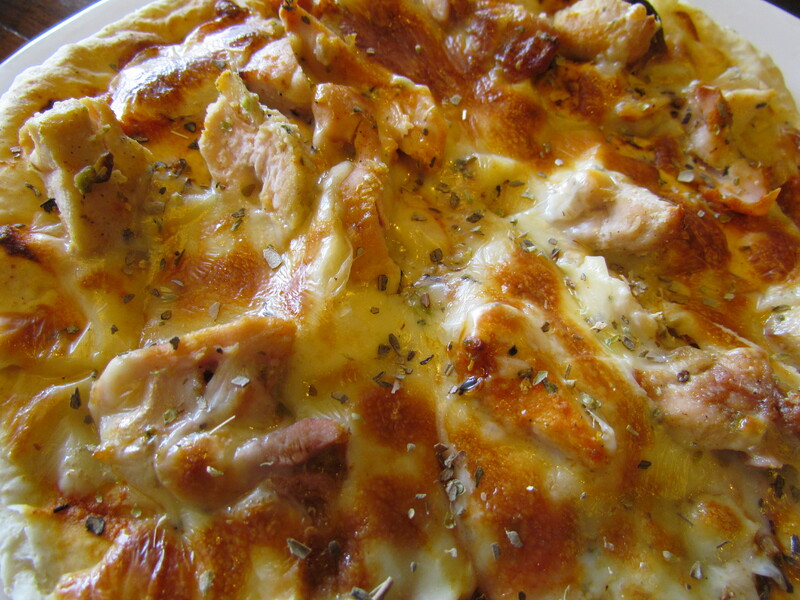 The aftertaste interferes with taste of food when 1st dish arrives. Complimentary Apple chutney had nothing much applish in taste. In texture we cud make out the apple. Spicy. Not bad just as it is. We started our meal with mutton shutton naanza – a naan made in pizza way with topping of mutton boti & mutton Gilafi seekh. Capsicum onions thick roganjosh gravy. 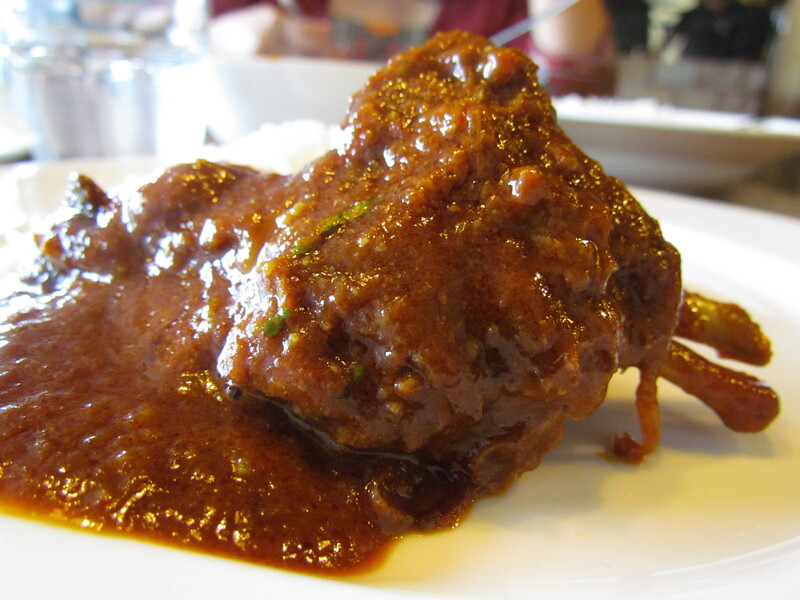 Mutton shutton naanza was super interesting. It had a naan as base bread, roganjosh gravy in place of the tomato base spread, two kinds of mutton kababz atop a layer of cheese. Must say that was innovative and good as well. 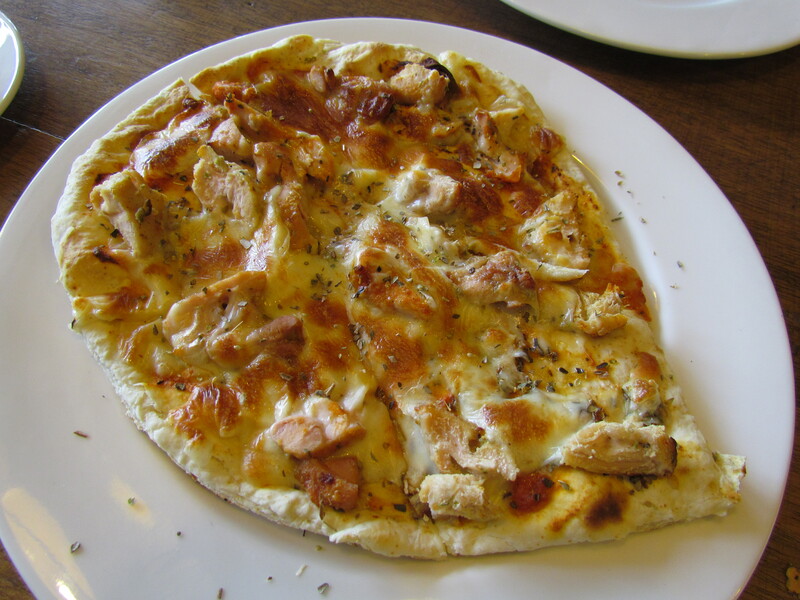 The naan was perfect texture, the cheese layer was super good and there were kababs strewn atop. Loved this dish every bit and rate this at 4.25/5. Afriki murg tikka had 8 tiny pieces. 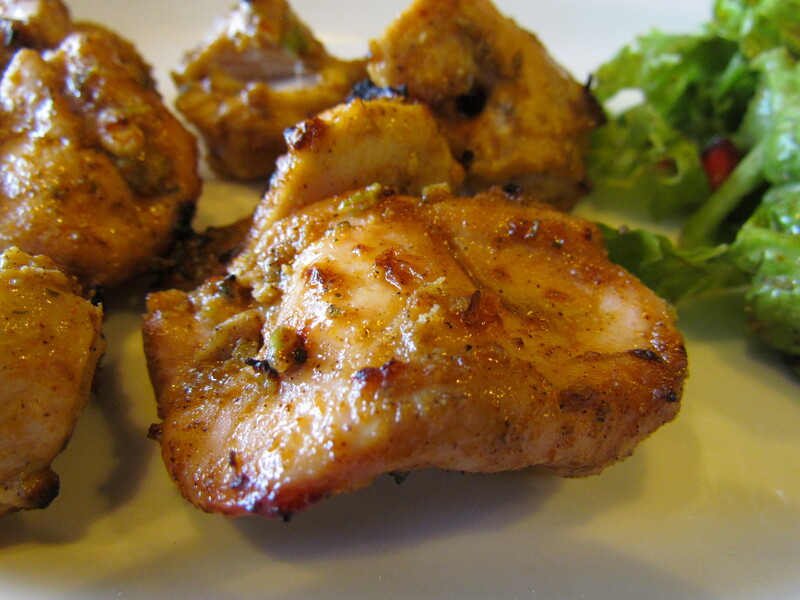 Afriki murg tikka had Some good spices and tasted good. Chicken pieces were neither soft nor juicy but were still good to taste. I rate this at 3.5/5. We chose Bihari boti kabab next. 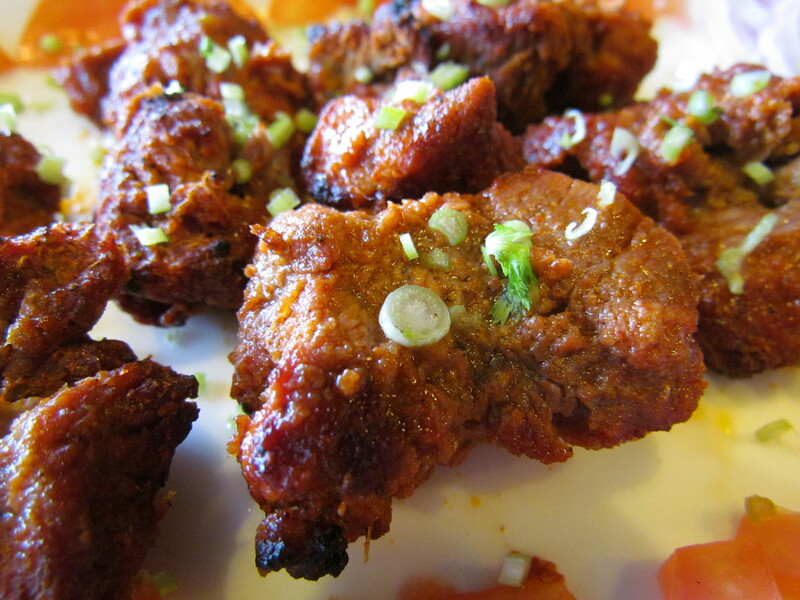 Bihari boti kabab were not juicy & some soft pieces some medium done pieces but good to taste, different mix of spices. A bit hot. Bihari boti had a good robust masala mix. However the pieces had something so wierd that we cud not think of a reason. Different pieces had different level of salt!!!! They had different levels of softness as well. Smaller pieces were more marinated. Others were less. In some marination reached the Center. In some others the center was tasteless! Masalas were very enjoyable though. I wud rate this a 3/5. So far everything felt like good planning but not so good execution. 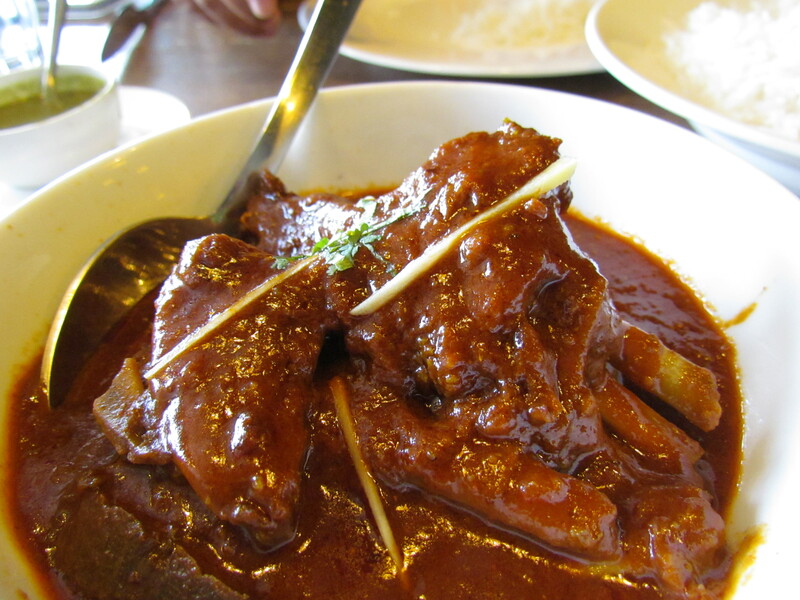 Last dish that we had was a kashmiri dish, mutton roganjosh. We had this with steamed rice. The gravy was surely very good to taste but was not on the authentic side . It was more kashjabi (Punjabi influenced Kashmiri) than Kashmiri. Influence of tomato and thick overall gravy is what made it closer to a punjabi dish. 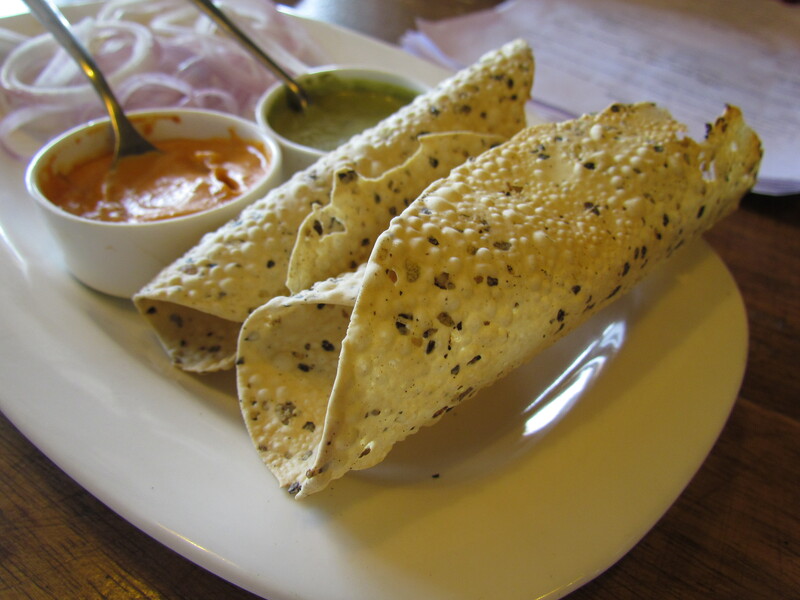 The original dish has thinner gravy and has the flavor of fennel seeds (saunf) as the overpowering source of flavor . The meats were well cooked and tasty. I wud rate this at 3.75/5 keeping in mind the authenticity bit. If I were to ignore the authenticity angle, the rating goes up to 4.5/5. 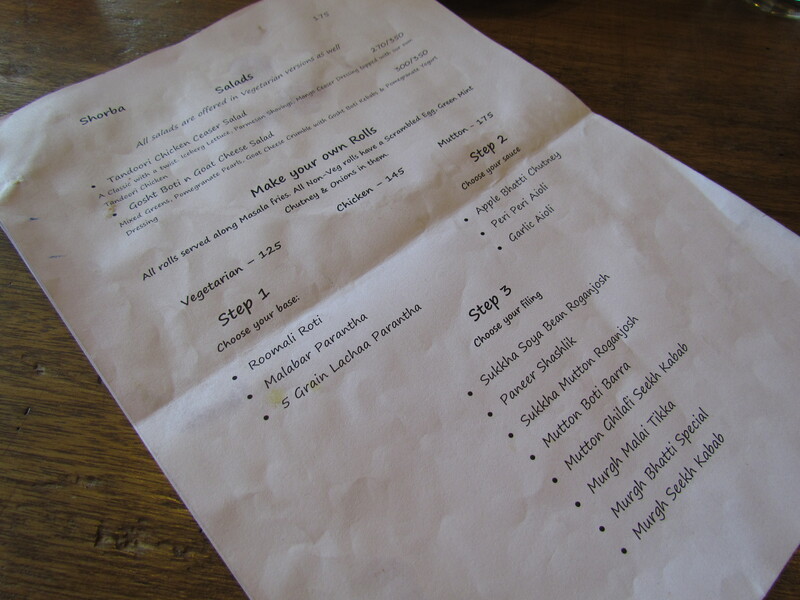 There were 2 options for dessert and they did not Sound interesting – Gulab jamun and phirni. So ended the meal here. 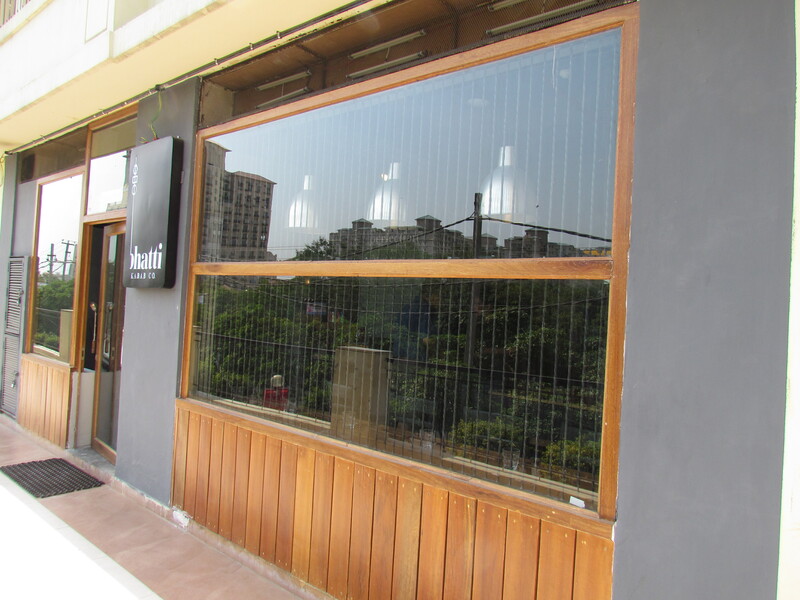 Th place is owned by the guy who used to run, brick house diner & cafe 2 2 tango at HKV. Social media is good if your product is, this is not the case here.